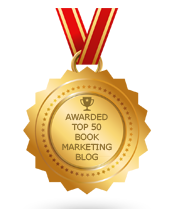 BookMarketingBuzzBlog: Do Writers Give Birth To Writers? I was reading an article about Tippi Hedren, a woman who was a successful 1960s actress. She was the star of The Birds. In her new memoir she says she was sexually harassed by famous filmmaker Alfred Hitchcock. In the story, it mentions her daughter is actress Melanie Griffith star of Working Girl, and her granddaughter’s Fifty Shades of Grey star, Dakota Johnson. That’s some talented and beautiful family. It got me wondering, are there a lot of successful or famous authors who raised another generation of writers? Sports, particularly baseball, has many successful father-son duets to boast of. Ken Griffey and Ken Griffey Jr. and Bobby Bonds and Barry Bonds come to mind. Music had Nat King Cole and Natalie Cole. Politics had George H.W. Bush and George W. Bush as a father-son White House team. So what does book publishing have to offer us? Stephen King, the master of fear, has a son, Joseph who writes under the pen name Joe Hill. Roald Dahl wrote Charlie and the Chocolate Factory. His daughter, Tessa, wrote novels and children’s books. Her daughter, Sophie, wrote a novel. The Waugh family, starting with Arthur Waugh features five generations of published authors. But not all make it. H.G. Wells, famous for penning The Time Machine and The War of the Worlds, had a son, Anthony West, but his best-known book is a biography of his father. There have been many famous women whose daughters took up their writing trade. Some even paired up together such as Lisa Scottoline and Francesca Serritella, Mary Higgins Clark and Carol Higgins Clark, and Jodi Picoult and Samantha Picoult. It’s normal to see children take up one of their parents’ professions or to serve in a similar industry. But how often does the child surpass the parent as a writer? No one comes to mind where one was a best-selling or award-winning or critically acclaimed writer who then had a child that wrote with even greater notoriety or success. Once one attains a level of greatness, it’s hard for another to surpass it, blood relative or not. What do writers hand down to their children? Is it a great role model or the burden of a bar set too high? Is the child given an advantage being around greatness or is he or she burdened by being in the shadows? If one’s a great writer, do they have the time, the make up, and the ability to be there as a parent to nurture a child’s development as a person and a writer? The psychologists can analyze this – and probably have. I don’t think there’s a clear-cut answer here. The debate over nature-nurture logically extends to writers, though I believe writers are created from a number of sources. First they need to be interested in expressing themselves through the written word. I’ve found that people who are great speakers and tend to communicate through the spoken word are different than those who feel at home writing their thoughts and views. Second, they need to be good at observing, listening, and paying attention to detail. Third, they should be naturally curious and at the ready with questions. Fourth, they write from a sense of purpose or conviction. They tend to have strong views about something. Five, they are fairly intelligent. Not only do they work at having a strong vocabulary, becoming proficient readers, and good at researching things, they naturally have a brain. Six, they exist in --or come from -- an environment where their circumstances push them into feeling they are alone or that only they clearly see the truth or that they can rescue someone or change something. They have a hero’s complex. Seven, they are greatly influenced by their childhood, especially if it involves loss, danger, victimization or witnessing atrocities or bad behavior. The more extreme and frequent the events that explode around them, the more their trauma leads them to a writing path as a means to express their feelings and as a process to come to grips with a world that seems unjust, cruel or bizarre. But one doesn’t have to come from a broken home or negative circumstances to be a writer nor does one have to be a genius or always pay attention to things. These are just observed patterns but who really knows where one's writing comes from. It’s a gift and a curse, a reward and a burden, and an amazing way to experience life. All of my experiences, thoughts, and feelings get expressed through my writings. My writing is my life, not just reflective of it. I also want to inspire others to write and to read – and to do so at highly frequent intervals and levels. The world can only become better once it’s filled with literate and engaged individuals. The bond of writing is bigger than genetics but it is interesting to see what literally spawns from great writers. As writers, we are all giving birth to a creation, and each one gives us a new start.